Includes tailgate handle backup camera and vehicle-specific harness for 2013-16 RAMs with 5" or 8.4" screen. The formidable size of the RAM can make it intimidating to drive. 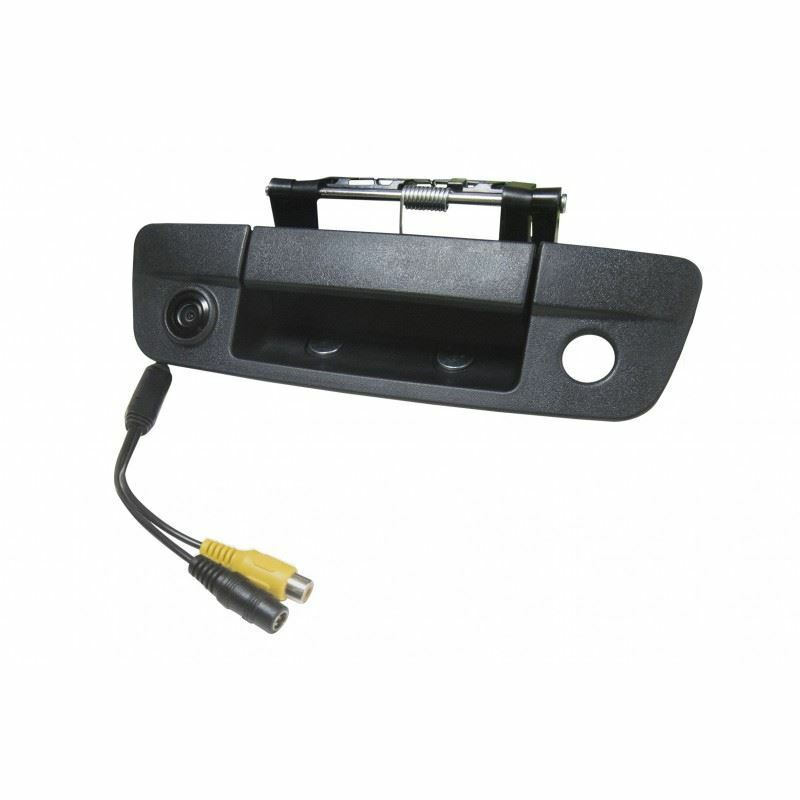 To help drivers deal with blind spots and avoid collisions, we’ve designed this CMOS tailgate camera especially for 2009-2016 RAM trucks. With a wide viewing angle and excellent low-light functionality, this camera provides an unprecedented view of your surroundings, making it easier and safer than ever to enjoy your driving experience. With an IP67 waterproof rating, this camera’s rugged design stands up to the elements. The vehicle-specific harness integrates the camera into the RAM's factory screen, placing your truck in reverse will display the camera's view, enhancing your rear vision.